Ahh, it's January in Chicago, which means snow and sub-zero temperatures. On the bright side, it also means it's time for Tomorrow Never Knows Fest, the annual multi-venue, 5-day, indoor (thank god) festival. Last year we wrote about our five most anticipated bands playing the festival, but we also discovered some new favorites, like Dream Version, Overcoats, and Acid Dad. While we're excited for pretty much all of the bands playing this year, and looking forward to even discovering some new favorites, here are our top five most anticipated acts of TNK Fest 2018. This Madrid quartet consisting of Carlotta Cosials, Ana García Perrote, Ade Martín, and Amber Grimberge crafts irresistibly lively and light-hearted lo-fi rock tunes with melodies that'll get lodged in your head for days, but their live show is where it's at. The four piece exude crazy chemistry and project so much positivity and energy whenever they take the stage, making their set at TNK 2018 one you absolutely cannot miss. 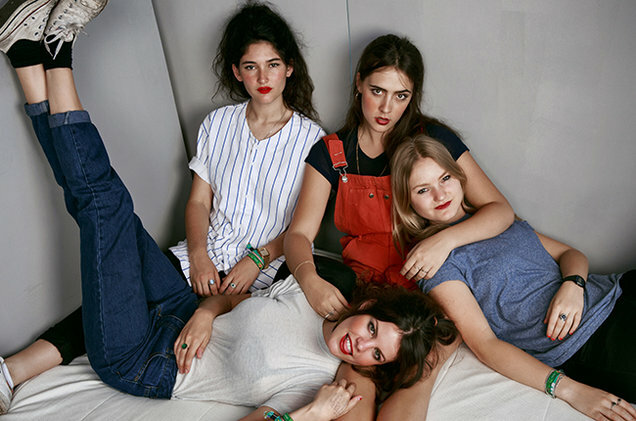 Although they're based in Spain, 2017 saw HINDS over in The States quite a bit, performing at Coachella, and co-headlining a tour with Chicago's Twin Peaks. It's been a minute since they headlined a packed Empty Bottle here in the city back in May, though, so make sure you snag a ticket to welcome them back to Chicago. When/Where: Lincoln Hall //January 21st, 9PM. Grab tickets here. Start With: "Bamboo," "Garden," and "Warts"
Speaking of incredible stage presence, the Nashville-via-Philly singer songwriter Ron Gallo puts on an unforgettable show. 2017 was quite the year for Gallo, which saw the release of his debut solo album, Heavy Meta, following Gallo's time with his band Toy Soldiers. Heavy Meta sees Gallo exploring serious subjects in a quirky and blunt way, wrapped up in raw and rowdy rock tunes. Gallo toured heavily last year as well, not only touring Europe and The States, but appearing heavily on the festival circuit; playing Lollapalooza, Shaky Knees, Lou Fest and more! This year he's already been booked for Coachella and Hangout, but help him kick things off by grabbing tickets to see him with Diane Coffee at TNK Fest! You can get ready for the show by re-visiting our interview with Ron Gallo here. When/Where: Lincoln Hall //January 19th, 9PM. Grab tickets here. 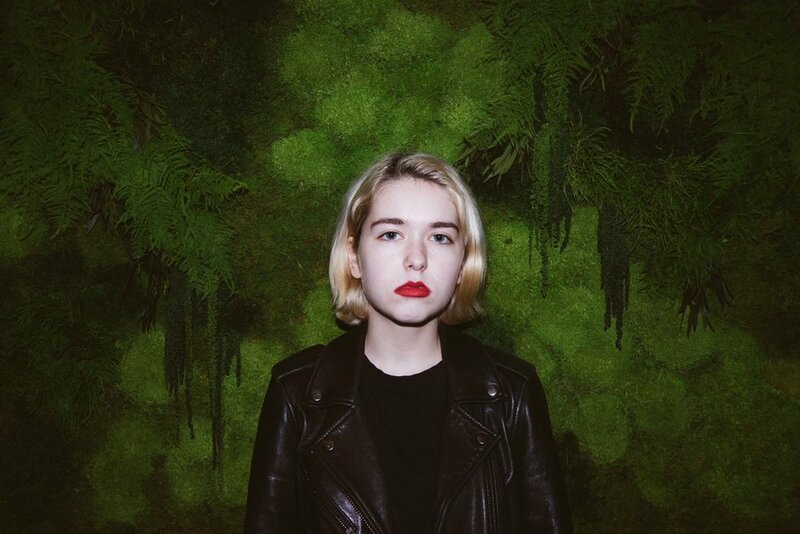 Start With: "Young Lady, You're Scaring Me," "Put The Kids to Bed," and "All the Punks are Domesticated"
The brainchild of the Maryland musical prodigy Lindsey Jordan, Snail Mail brings honest alternative rock narratives that deserve your full attention. Following her 2015 and 2016 EPs, Sticki and Habit, Jordan toured extensively with the likes of Waxahatchee and Beach Fossils in 2017. This year is already filling up quickly for her, with Snail Mail being booked for Coachella and national tour dates announced through April. Help Snail Mail also kick off a sure-to-be successful year by coming to her show at Schubas Tavern, which features a stacked lineup of fellow badass bands and artists, including Stef Chura and Ratboys. When/Where: Schubas Tavern //January 19th, 8PM. The show is sold out, but you can grab TNK 5-day passes here. Start With: "Thinning," "Habit," and "Slug"
Nashville based trio Liz Cooper & The Stampede blend multiple genres together to create a recognizable yet refreshing sound. The nomadic and multi-talented Liz Cooper fronts the group, and the trio's folk rock melodies mesh perfectly with Cooper's soulful and raspy vocals. The group has caught the eye of many lately; recording Audiotree sessions and performing at their annual festival last year, as well as making an appearance at the massive ACL Festival in 2017. The three piece will perform at Lincoln Hall with Rayland Baxter, and you can get ready for the show by re-visiting our interview with Liz Cooper & The Stampede here. When/Where: Lincoln Hall //January 20th, 9PM. Grab tickets here. Start With: "Mountain Man," "Hey Man," and "Dalai Lama"
Also from Nashville, the duo of Aaron Martin and Johny Fisher (guitarist for The Weeks) blend retro and soulful tones into psychedelic rock tunes that completely capture their listeners with the stories told in each song. Okey Dokey's show at TNK fest marks nearly a year since the release of their debut album, Love You, Mean It, which brought on an incredible year for them in 2017. Their show at Schubas will undoubtedly showcase their fun and dynamic spirit, and the lineup also includes former Chicagoan Cut Worms and Sonny Smith, so don't miss it! When/Where: Schubas Tavern //January 18th, 8PM. Grab tickets here. Start With: "Wavy Gravy," "Coffee Boi," and "Low Rent/ Blue Skies"
There you have it! Again, this list is just the tip of the iceberg. Check out the full line up here, and make sure you get to all the shows early. So many of our favorite hometown bands are playing these shows, and they all need to be on your radar this year! Lastly, get ready for the show by listening to the official TNK Mixtape below.